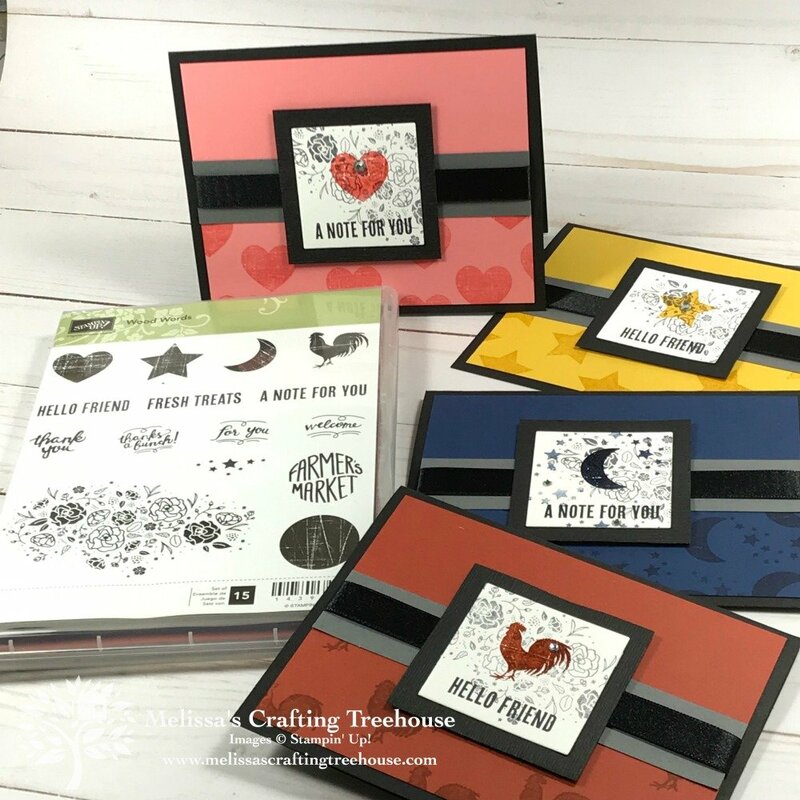 Today’s card making ideas feature the Wood Words Stamp Set and were inspired by a project I made many years ago that I like to call a “Rewind”. The “Redo” projects were created to celebrate my 16 yr anniversary with Stampin’ Up! in my weekly Facebook Live event. Whenever I do a “Rewind/Redo” challenge I try to step up my card just a bit and of course use new stamps and colors! In the Wood Words Stamp Set, there were four images that looked like they would work and so I couldn’t help but make four color variations. I’ll be giving away the full set of four, as one of the prizes from this Facebook Live event. To learn how to win prizes watch my Facebook Live video just ahead. I love this little rooster! Isn’t he so cute? 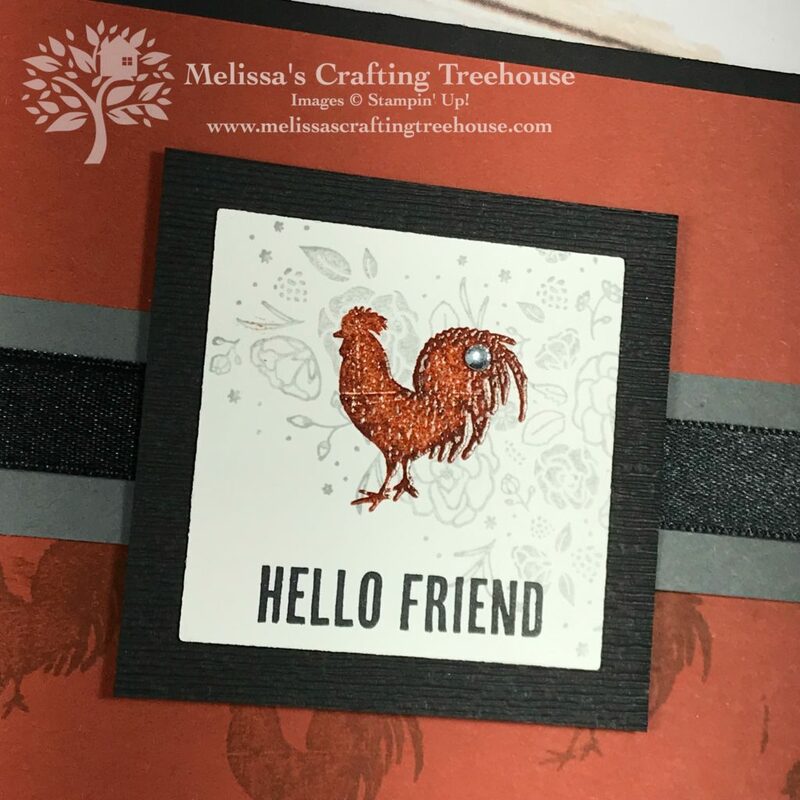 Do you know the trick for heat embossing in any color using just one embossing powder? Click HERE to check out my previous post for details. In the close up here you should be able to that the rooster is heat embossed. 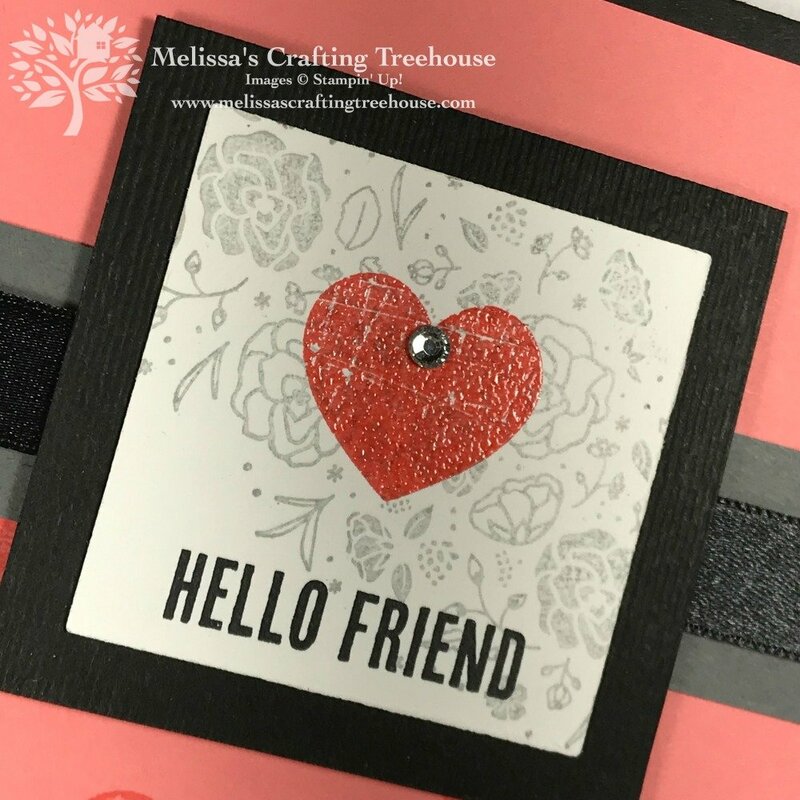 For these card making ideas I’ve used two sentiments from the Wood Words Stamp Set. 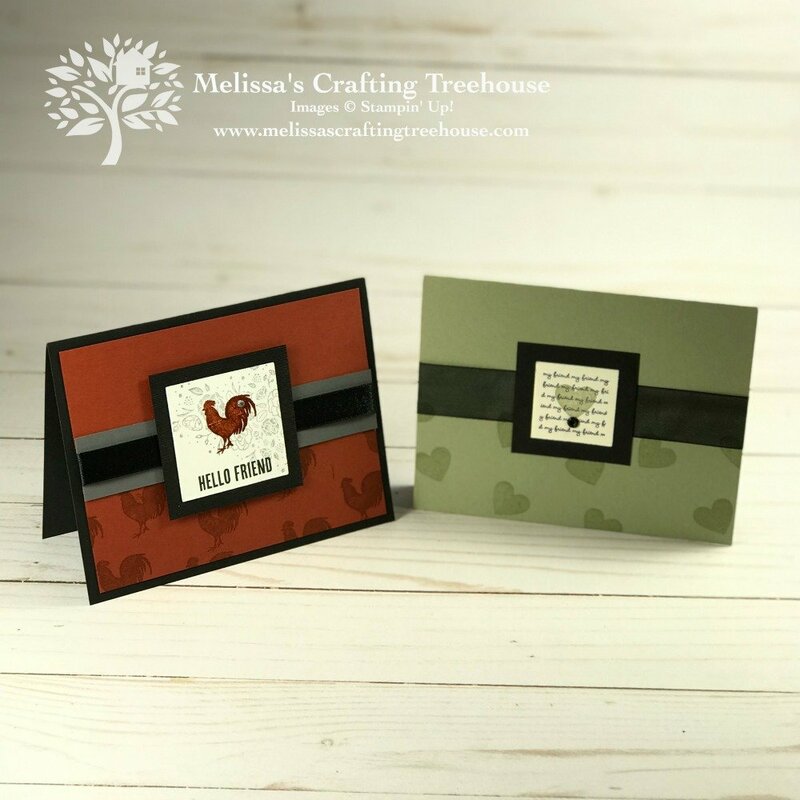 These sentiments offer a lot of versatility in how you could use these cards. 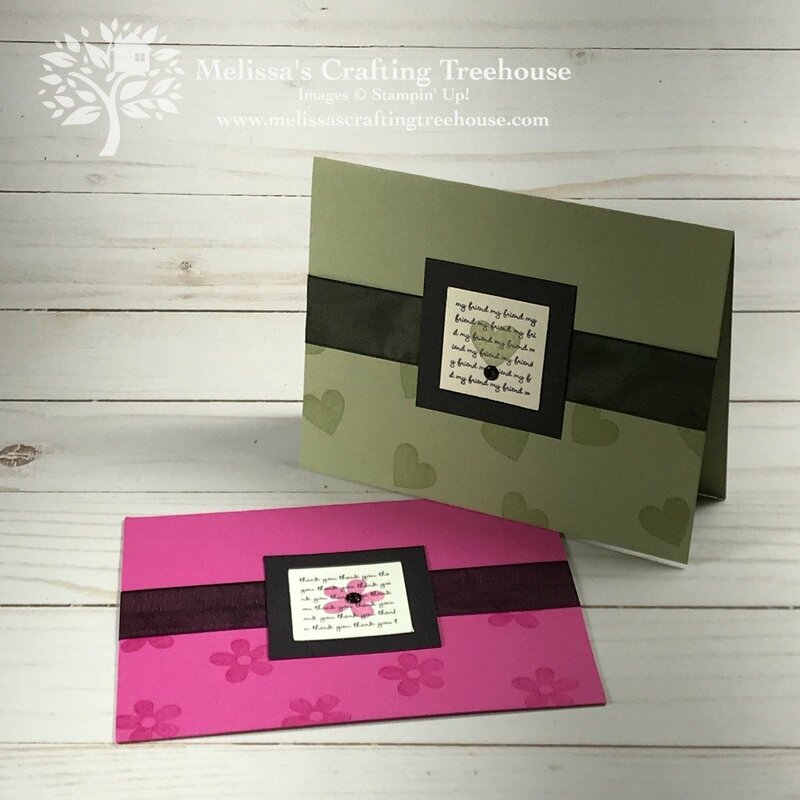 The one on the left below could be used for Valentines Day because of the color and image, but in reality it’s an all purpose card, when you’re sending it from the heart! Check out how pretty the embossed heart looks in this close-up. 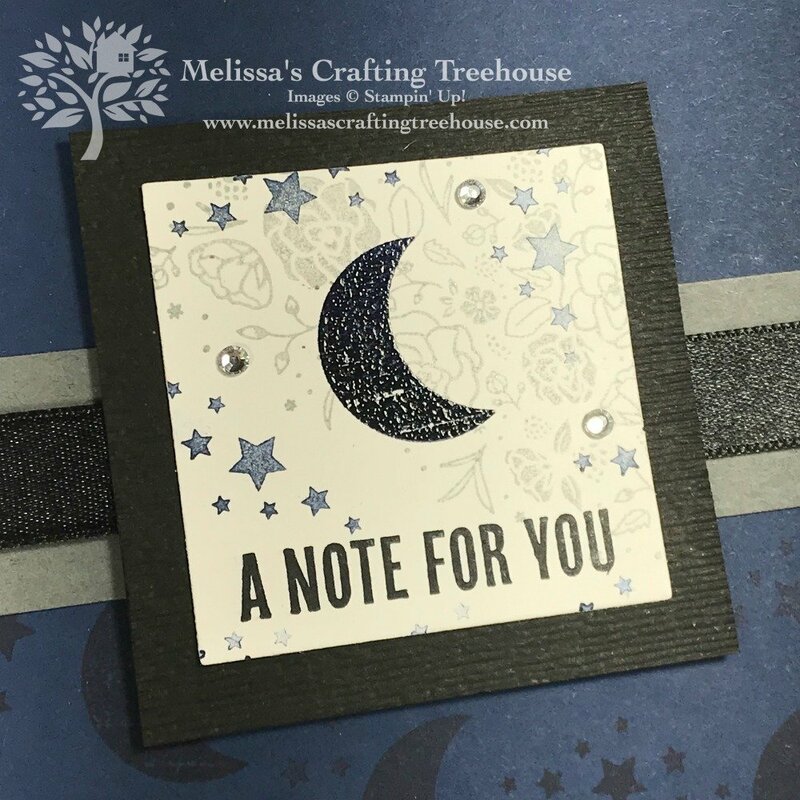 For the focal backing for each of these cards I’ve dry embossed using the Subtle Embossing folder. Can you see the texture in the close up below? In the close-up below I’d like to point out that the background image is stamped with Smoky Slate ink that is stamped off. This allows a subtle background without overshadowing the main image. Also, on this focal piece, I’ve added stars with second and third ink. I put plus rhinestone jewels on all the focal pieces in different places. They look so perfect on this one with the moon and stars! 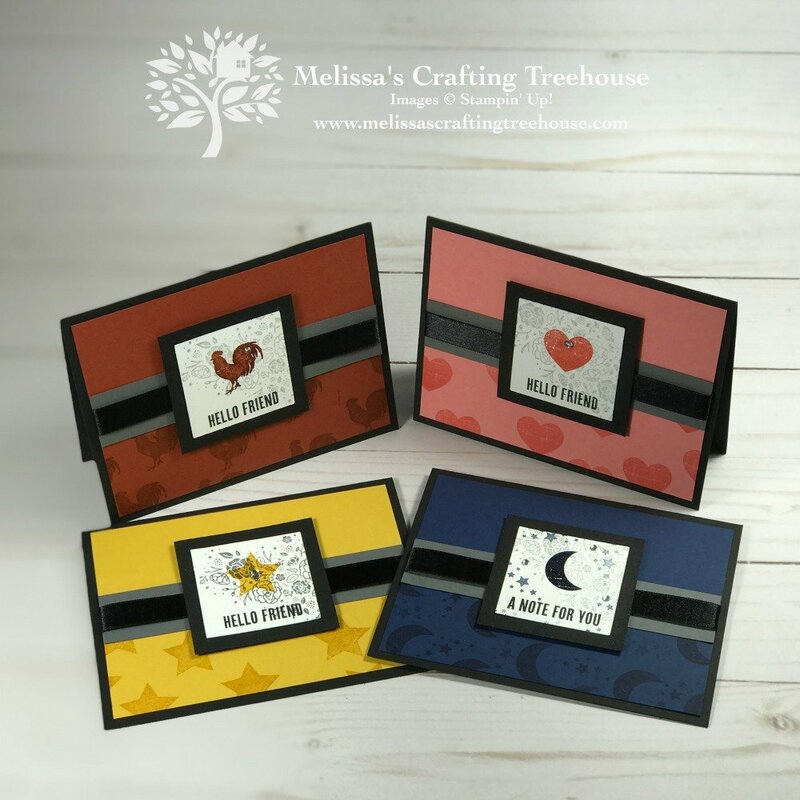 Can you see giving this set of four cards as a gift? I totally can! 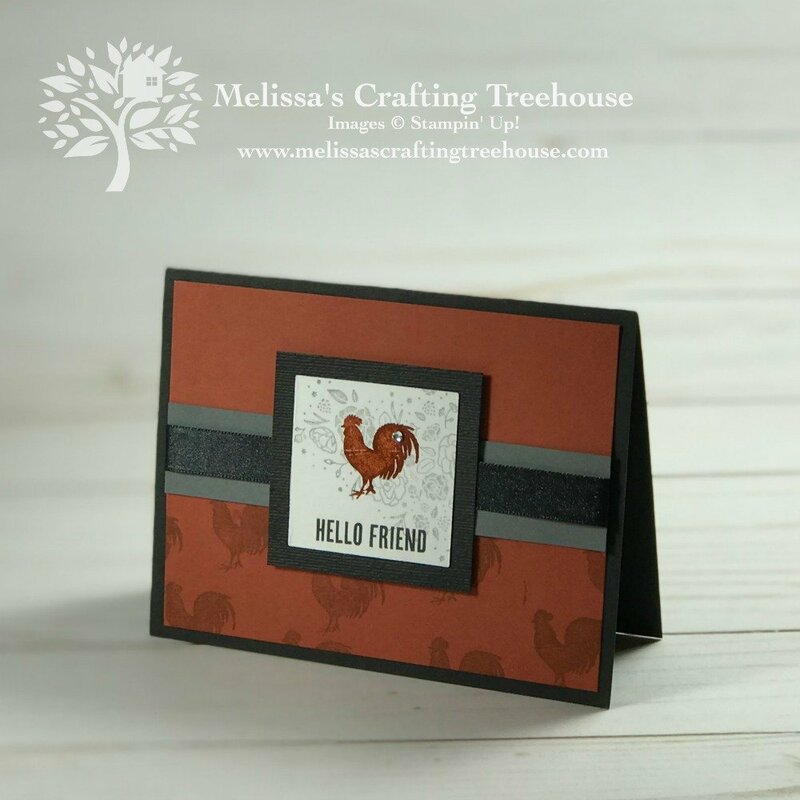 I hope you’ve enjoyed my simple card making ideas today, and that they’ve inspired you, to take out some project you made a long time ago to recreate! If you find that you are inspired to do your own Rewind/Redo, consider playing along with my Facebook Live challenge. All the details are in the video just ahead. 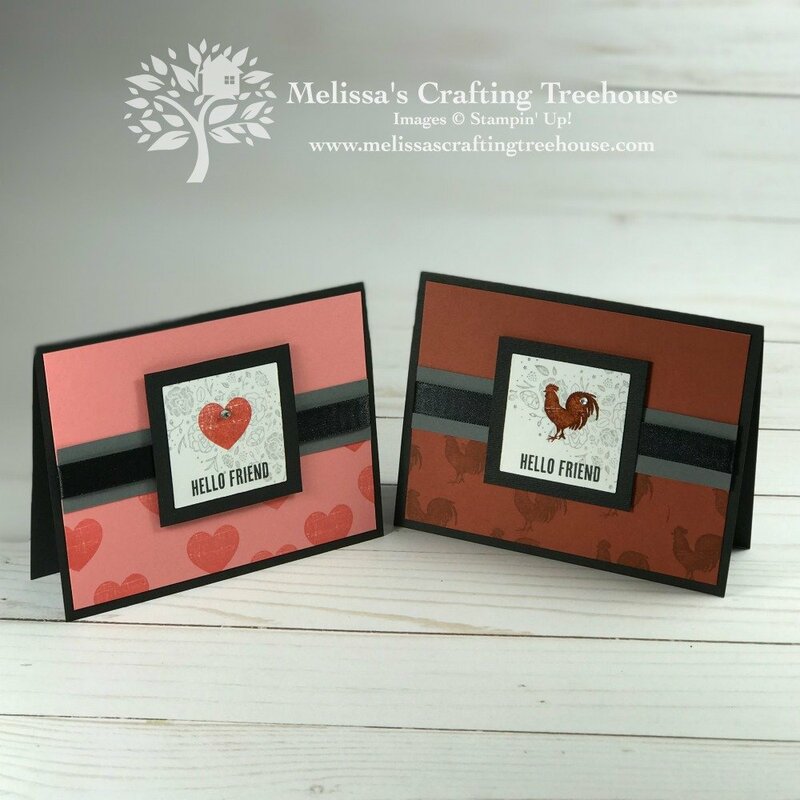 To see my previous post featuring heat embossing in any color click HERE. The project demonstration begins at around 26-1/2 minutes. 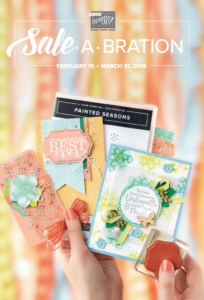 Newsletter Subscribers Get a FREE Tutorial Bundle with a merchandise purchase of $35 or more in my online store. (Must use the current hostess code.) Click HERE to subscribe! 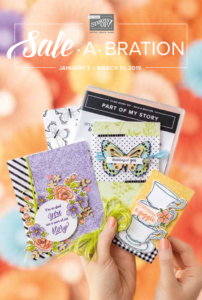 Get $175 in product for just $99 when you buy the Starter Kit during Sale-A-Bration! ENDS MARCH 31ST! 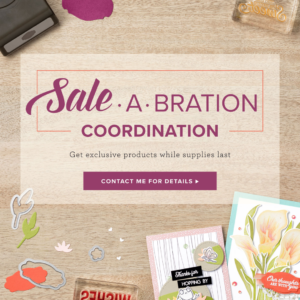 Click Below to see the Sale-A-Bration Coordination Flyer – Products Available to purchase in March 2019 OR While Supplies Last! Like the idea of taking a card made long ago and performing a “redo” upgrade (hopefully). So went checking to see what I could find in “the pile” and came up with 2 possibilities. You have given me inspiration to try this, so this is a warning that more is coming from me! Will re-post once the redo is done. On a personal note to you, thanks for the videos, they do inspire me…I haven’t been in my craft studio for a while now and looking forward to getting at it now, thanks to you and your positive, encouraging and can do it attitude. You love what you do and it shows!